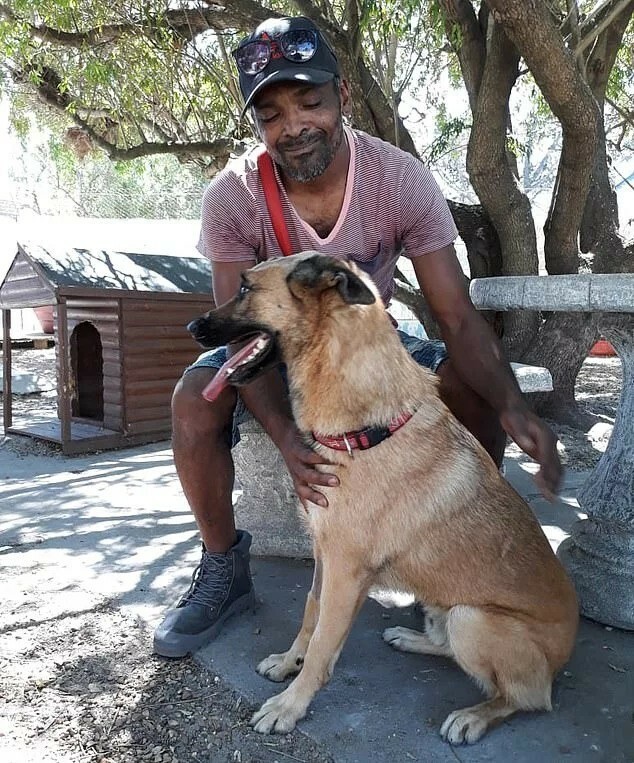 40-year-old Gino Wensel from South Africa was walking his German Shepherd, Duke, when he noticed a man walking up behind him. Duke began growling at the approaching man, who was carrying a knife and planned to attack Wensel. As the man came closer to the dog and its owner, the robber stabbed his knife in Duke’s head. However, this surprisingly did not incapacitate the dog as it still ran after the man, scaring him off. Duke then collapsed shortly after that. To Wensel’s surprise, he found that his dog was still breathing and immediately called his friend for help. 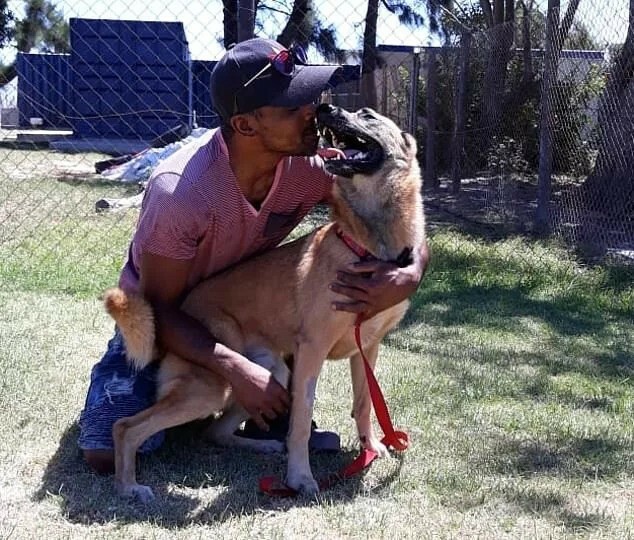 Wensel and his friend then rushed Duke to the Animal Welfare Society of South Africa (AWSSA), where it received immediate treatment. 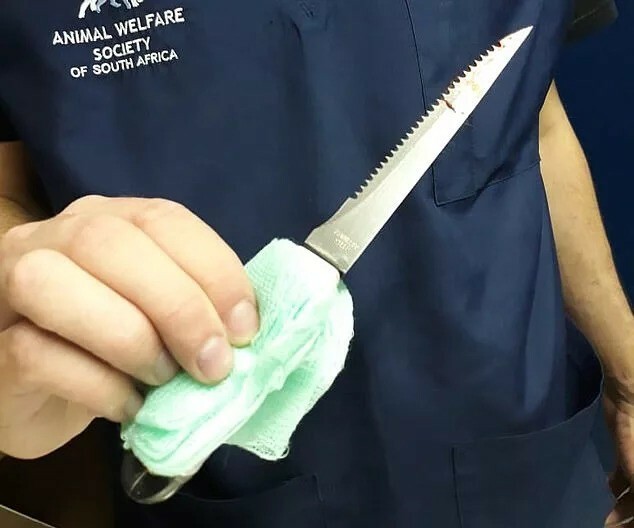 According to an AWSSA spokesman, the dog was close to death and in critical condition. 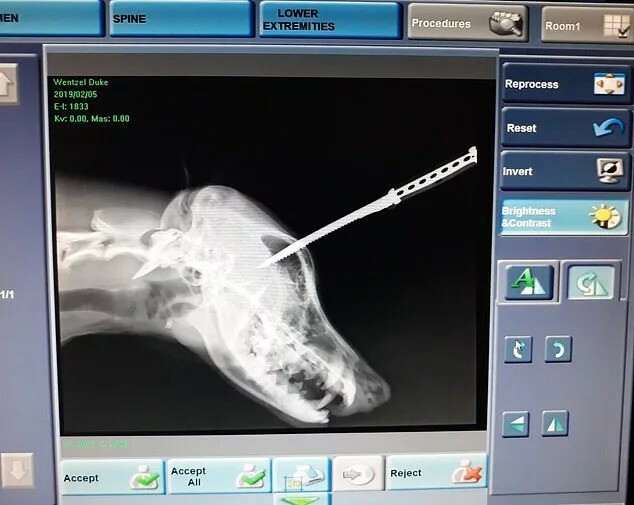 Duke was quickly sedated and given painkillers before getting an X-ray to assess how much damage the knife had done. If the robber stabbed any harder, Duke would have died. What a lucky dog! 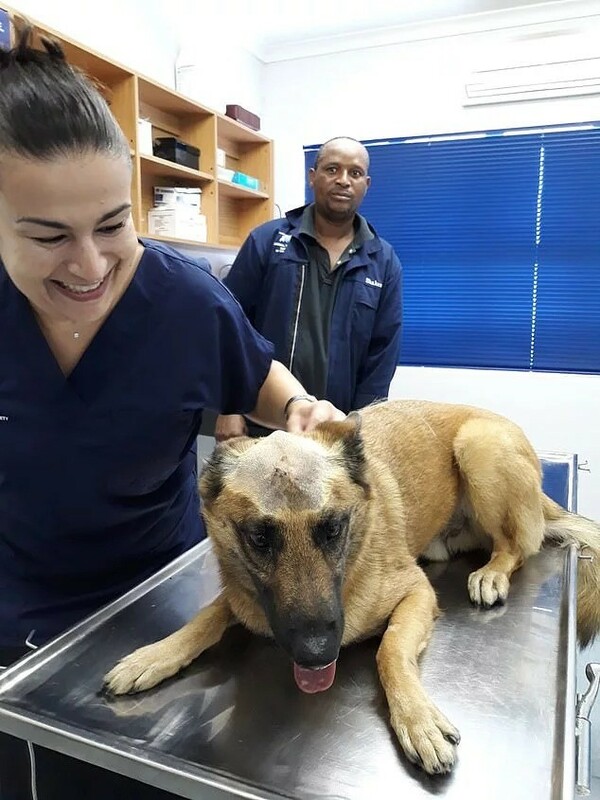 Even more miraculously, Duke made an overnight recovery after getting surgery to remove the knife from its skull and is now back with its owner!